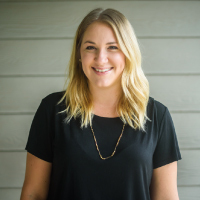 Bethany Hanusch is a graduate student working to complete her internship hours for an MA in Professional Counseling under the supervision of LaVonne Dyste, LPC-S. She will graduate in late August and go on to be licensed by the state as an LPC-I (Licensed Professional Counselor-Intern). Bethany has also completed a 9-month training program in biblical counseling called, “Equipped to Counsel” through the Austin Stone Community Church. Bethany has been married to her husband for 7 years and prior to her graduate program she was a wedding photographer for five years. For Bethany, it’s always been about people and their stories. One of the things I love seeing happen through counseling is to have a light come on, a veil torn away, eyes opened. So much of our life can be spent restricted by our thinking, and counseling helps us sort through those thoughts and beliefs to get to the truth so we can truly live. In my approach, counseling is a joint effort between counselor and client to work through problems and concerns so that you can live a life of meaning and purpose. The therapeutic modalities I commonly use are listed below. My main focus in therapy is working with women 18 and up. Women’s issues are very important to me, however I do occasionally see men and couples. Some of the areas I focus on are listed below.